Phono Ghosts - Photons in Fashion. Vinyl EP. Bleep. Instant MP3 download with all Vinyl / Cassette purchases. 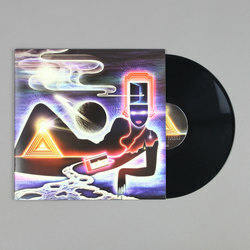 Phono Ghosts dials in eight freshly chopped, screwed, cut and pasted IDiscoM and slowed down digi-funk cuts on his choice new 30-minute session Photons in Fashion. Beamed live and direct to both hyper-ltd wax cylinder and plastic CS cartridge, this latest dispatch from the shores of Blackpool finds all manner of distorted disco and smashed soul samples that have been stuck back together with digital sellotape and glue in the Fonolith musical tool shed. Diving deeper into the sample craving crates than most in this scene, Phono Ghosts once again manages to craft a from-start-to-finish session of properly funked up electronic explorations. 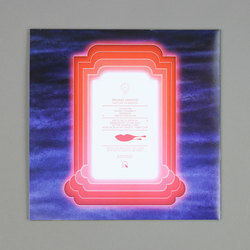 Interlinked with dream-like interludes, the verdict is a proper road trip that journeys through similar styles to recent Mordant Music before turning up fully floating at the outermost reaching Unknown To The Unknown rave. If you dig that recent Cremation Lily LP on Alter, imagine its seafront location upended to acid house Blackpool and you may stumble across some of the solid gold supplements being sown by this sometime Skam'er.